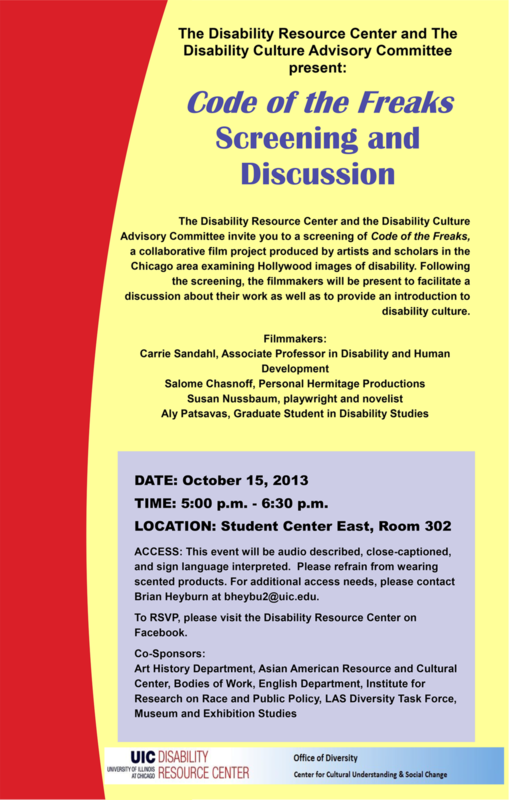 UIC Disability Resource Center and the Disability Culture Advisory Committee present a work-in-progress screening of Code of the Freaks. Code of the Freaks is a collaboration of scholars and artists examining Hollywood images of disability. A discussion with the filmmakers follows.